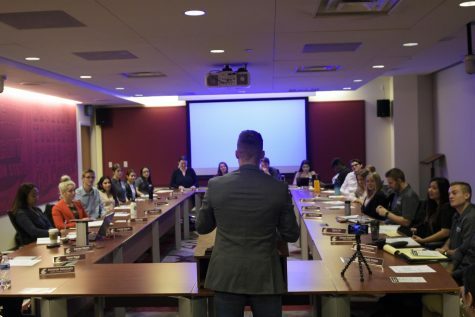 ASWSU presidential candidates speak about ASWSU transparency and preventing campus hate speech. 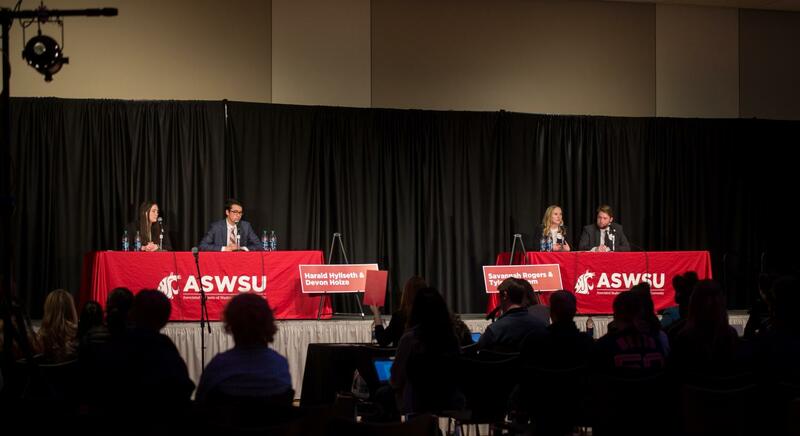 ASWSU held a debate for the 2018-2019 presidential candidates to talk about their campaigns and answer questions from the public Sunday night. Before the debate the candidates shared how they felt. Presidential candidate Harald Hyllseth also expressed his excitement about the debate. 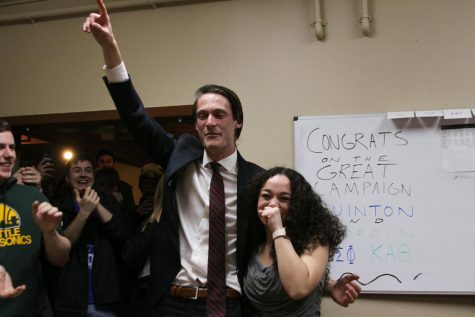 “I don’t think [running mate Devon Holze] and I have been this prepared for anything else in our lives,” Hyllseth said. Hyllseth and Holze said their campaign is about representing every community at WSU and intersecting all the groups on campus. 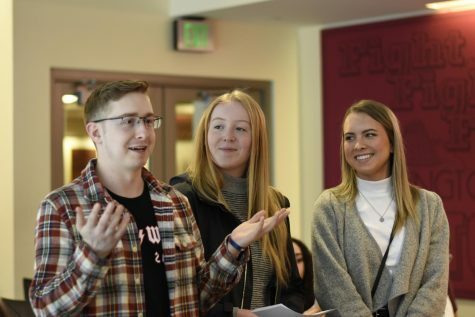 “There’s a lot that connects us as Cougs,” Hyllseth said. Holze also expressed that he and Hyllseth want to continue their message even after the campaign is over. “We are here for students and Cougs and no one else,” Holze said. 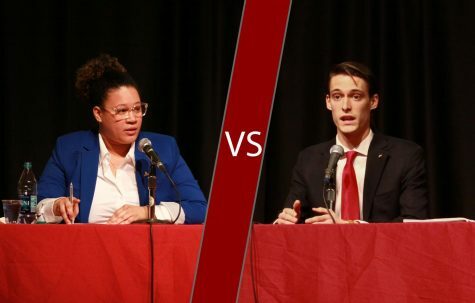 Rogers and her running mate Tyler Parchem shared the five pillars of their campaign — empowerment, accountability, engagement, safety and education — and expressed they want to be transparent and involved with members of the community. Four moderators asked the candidates a series of questions about initiatives and projects, top priorities, multicultural student issues and important values within each campaign. 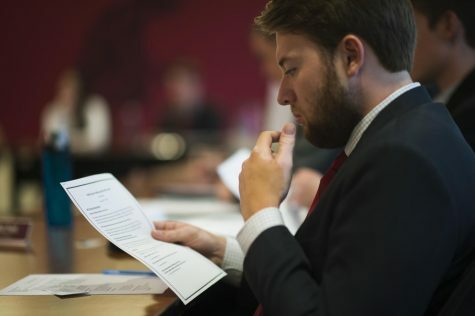 Both tickets want to make changes within the ASWSU communications branch. 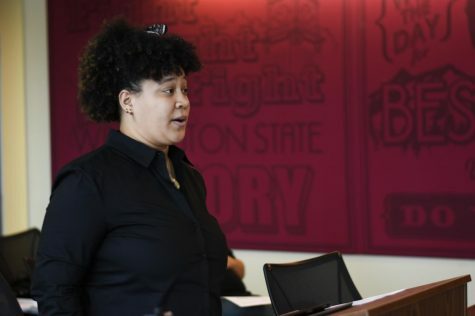 Rogers and Parchem discussed how they would like to expand the department and create specific roles tailored to students. Hyllseth and Holze also want to expand communications through a different approach — by creating a third position within the communications branch for student outreach. Hyllseth and Holze said learning about students’ stories and listening to their feedback are their top priorities. Rogers and Parchem said they prioritize safety and want to make sure they foster conversations and changes on subjects like mental health, sexual assault and gun violence. The moderators and audience members both asked the candidates questions related to multicultural students’ issues. 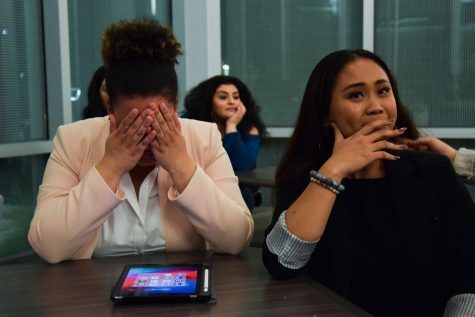 Rogers and Parchem acknowledged they are not a part of a marginalized community, but they said they still understand the importance of listening to students and having conversations with them. “Continuing to do more for these students is something that we need to do,” Parchem said. 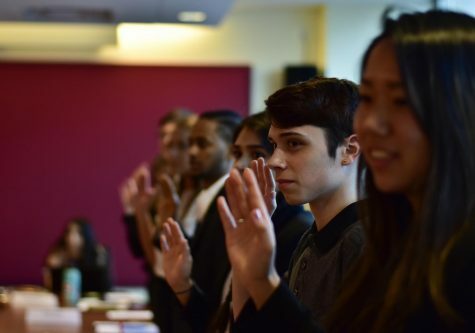 Hyllseth said he and Holze want to work with the multicultural communities, put forth resolutions and make students more culturally competent. 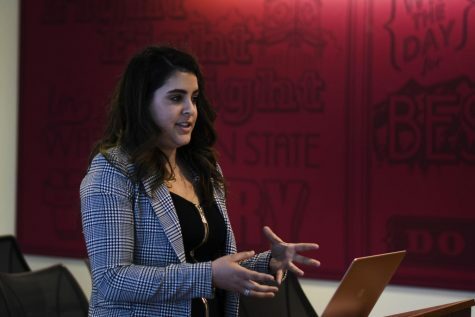 A moderator asked the candidates if the ASWSU Senate should ever stop the student body from voting on fees by keeping them off the ballot, referring to a recent Senate vote that stopped a proposed mandatory sports pass from becoming a referendum. Hyllseth said he supported certain referendums and Holze said she thought the proposed mandatory sports pass fee would have been unfair. The moderators read a question from a Twitter user about the candidates’ stances on the $5 student media fee. Rogers said she supported the referendum and wants students to vote. Hyllseth said everyone should vote in favor of the proposed fee to supplement funding for The Daily Evergreen. He said the student paper holds university leaders accountable and keeps the public informed. Hyllseth and Holze said important values for them include leading and empowering people, making sure they are a presence in students’ lives and talking to them about what matters. Rogers said an important value for her is to put service above self and make sure others are heard. Parchem added leading by example and collaborating with students were important values for them as well. ASWSU elections will be held March 6 and 7. The winning candidate will be announced Wednesday night. Undergraduate Pullman students can vote at locations in the CUB or online at studentvote.wsu.edu.